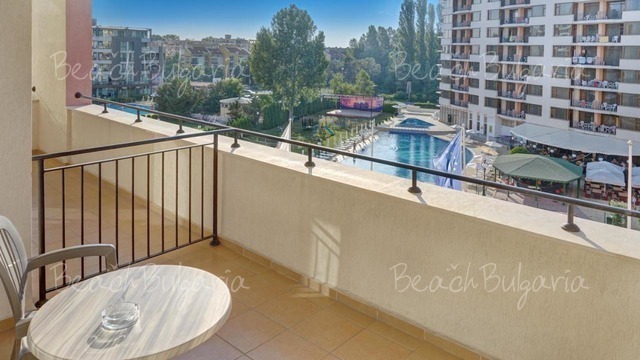 Majestic Hotel is located just 50 m from the beach and close to the resort of Sunny Beach resort. The central hotel block features 339 double rooms (including 4 rooms for disabled), 50 studios and 15 suites. There are 328 exclusively furnished rooms in the two blocks: 123 studios, 187 one-bedroom suites and 18 two-bedroom suites. The guestrooms feature mini-bar, satellite TV, safety deposit box, telephone, bath-tub and hairdryer in the bathroom, central air-conditioning. The suites and studios include kitchenette with microwave oven, 2 gas burners, refrigerator, kitchen sink, toaster. 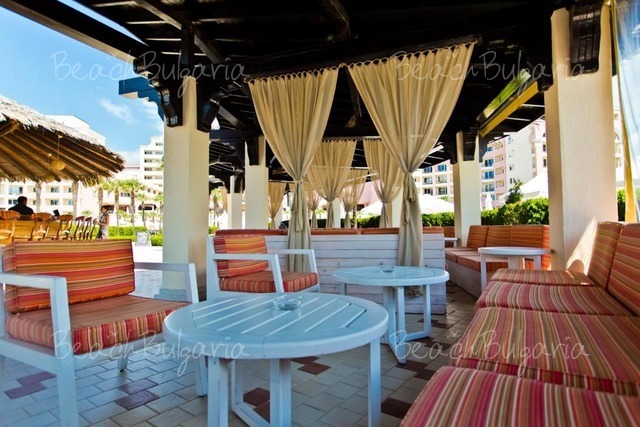 The property features 5 exotic bars and 4 restaurants with Bulgarian dishes, Mediterranean and European cuisine. - Professionally developed Business Center. The SPA centre offers Asian massages, herbal and seaweed bath procedures and masks, Cleopatra bath, Turkish Bath, Ayurveda, Asian Treatments and Rituals, Exotic SPA Rituals, Baths & Body Wraps, Anti-cellulite Treatments, Facial Treatments. The sports area includes professionally equipped fitness centre, a multifunctional playground, mini-golf, 2 open air tennis courts, 2 football and basketball playgrounds, beach volleyball playground. The game area of the hotel includes snooker, billiards, ice hockey, football table, darts, chess, backgammon. There is a garden in front of the hotel with over 200 exotic palm trees, 2 swimming pools and children pool with aqua entertainment facilities for kids. 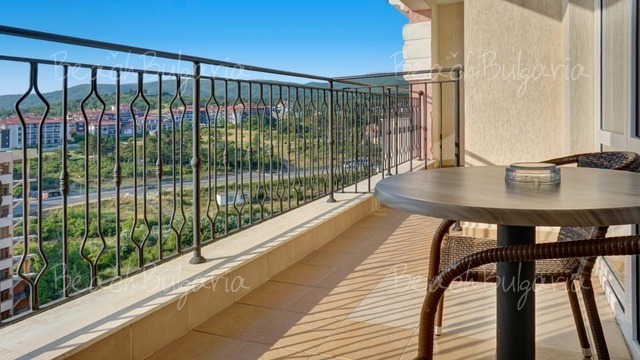 * Cancellations can be made free of charge providing details of this are received at least 20 days prior to check-in time on the day of arrival - cancellations made after this period will incur a fee equivalent of 50% of the cost of the reservation. * Dress code in the restraurant! Going back in 2 days time for the 5th year in a row....speaks volumes....!!!!!!!! Wonderful hotel! Poolarea is beutiful and kids loved the animationteam! Unfortunately the poolarea gets too crowded and it is a hard struggle to find a spot. Main restaurant was over booked every day we visited and it takes the joy out of eating there. Very good service, we recommend it to everyone but the partypeople. Please, post a comment on Majestic Hotel. THANK YOU VERY MUCH FOR YOUR HELP IN ORGANIZING OUR SHORT VACATION. ME AND MY FAMILY ENJOYED IT VERY VERY MUCH AND WILL ADVISE OUR FRIENDS AND RELATIVES TO USE THIS WEB SITE FOR BOOKINGS. 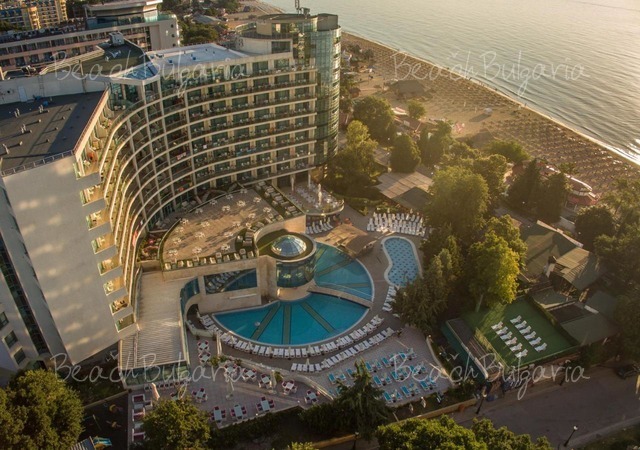 HOPE TO COME BACK SOON TO THIS WONDERFUL HOTEL IN SUNNY BEACH FOR A LONGER PERIOD OF TIME!! the problem in bulgaria are always the small but important things. 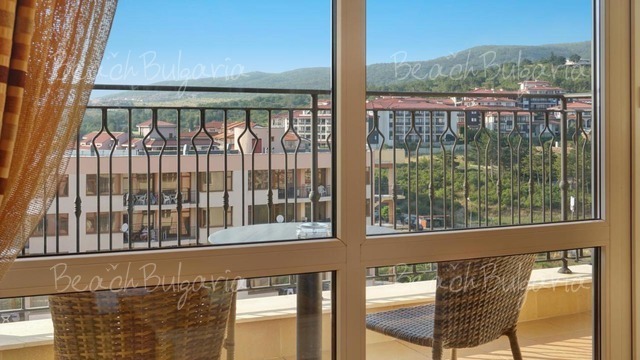 For exemple - hotel majestic sunny beach allinclusive at dinner you have to pay your bottle of water 330ml 3lv. that is awfull.